We are thrilled to officially be pushing “play” on Mountain Story! We hope you enjoy these stories of passion, inspiration and transformation behind some of the most charismatic, inspiring and accomplished trail blazers, adventurers and innovators of mountain culture. These extra-ordinary tales can be enjoyed at live events in Whister, BC, or right here on our website as an interactive video. Each interview aims to evolve dialogue about mountain culture beyond adrenaline and accomplishment. Visit the live interviews page for a schedule of live events and visit our stories page weekly and enjoy our staged release of chapters for each of our interactive online stories. Stay tuned and enjoy some incredible stories. 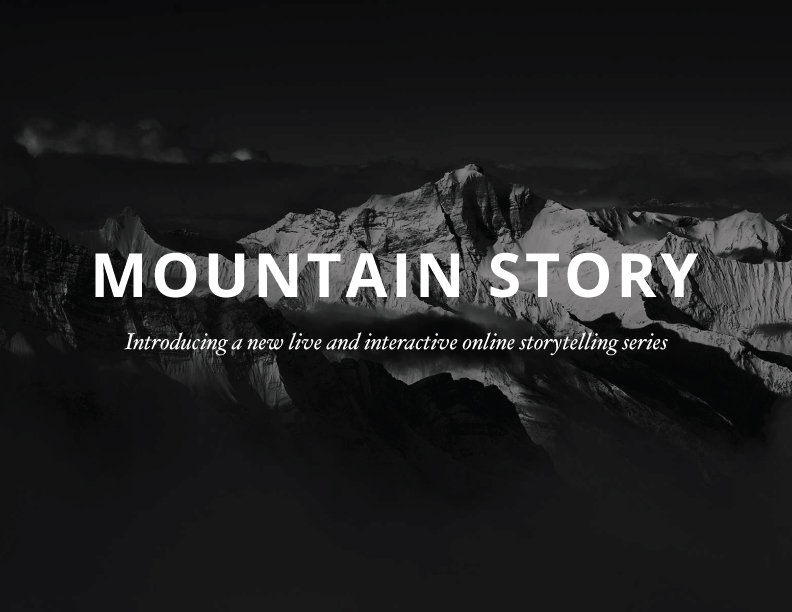 We hope you can share and engage with Mountain Story at your leisure. © Mountain Story | Whistler, B.C.